An Advisory from CT Link Systems, Inc. for WannaCry Ransomware Attacks – CT Link Systems, Inc.
You may have heard over the weekend of the recent attacks of ransomware called WannaCry, which has targeted almost 200,000 computers across 150 countries. 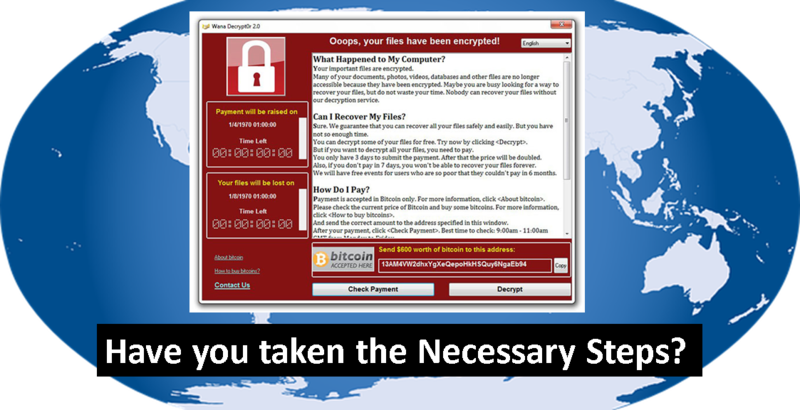 While a killswitch has been found to help lessen the spread of WannaCry, many still believe that a new strain of WannaCry will soon come out which will bypass this quick fix. For our clients who are not using Trend Micro, we strongly urge you to patch your Windows with MS17-010 (for versions such as XP please refer to this link). For any questions or inquiries you have with regards to ransomware or how you can protect you system, please contact us at 893 9515 and we will be happy to help! Copyright © 2019 CT Link Systems, Inc.. All rights reserved.